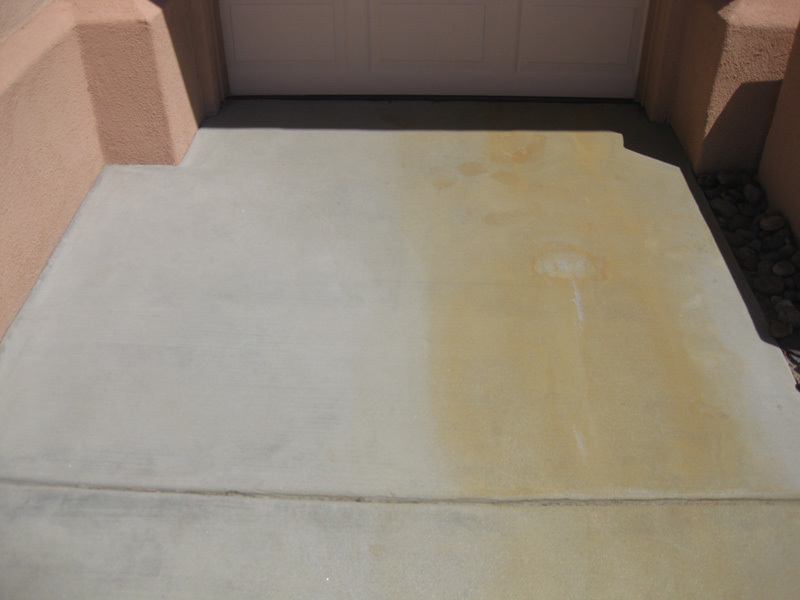 Don’t turn away potential customers from entering your property because of the unwanted rust stains in your entrance way. 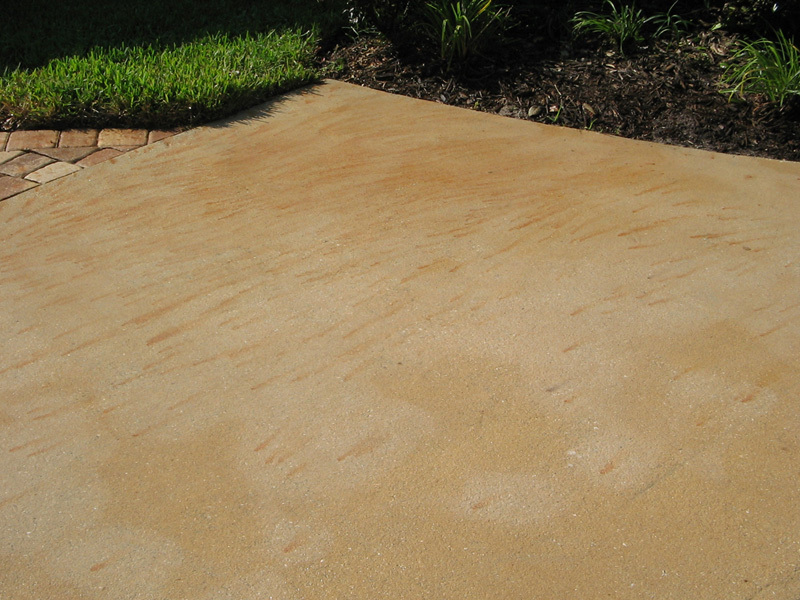 Golden State Pressure Washing specializes in rust removal and power washing services in Fresno, California. 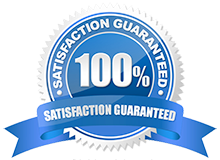 We are F9 certified vendors that are EPA compliant and environmentally friendly. 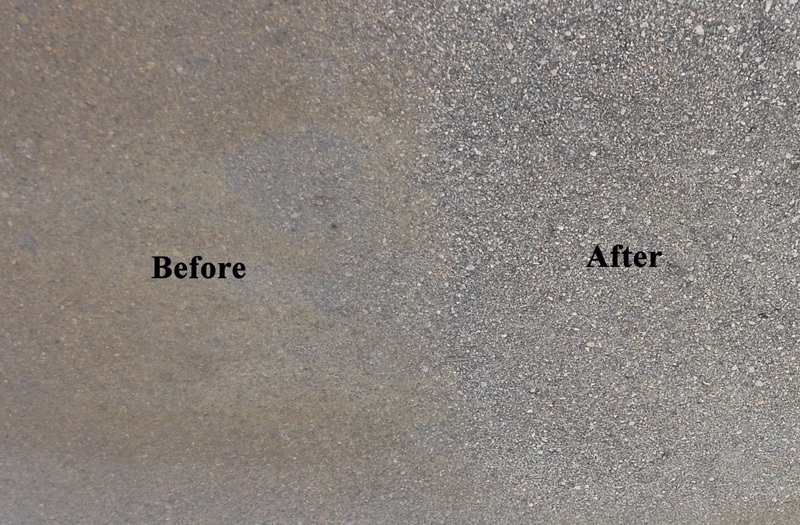 We can successfully remove rust stains from any exterior surface. 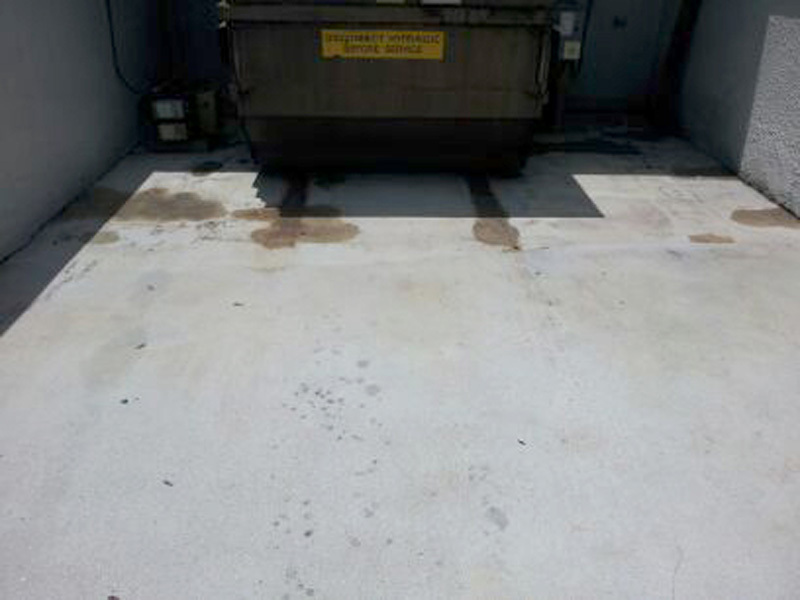 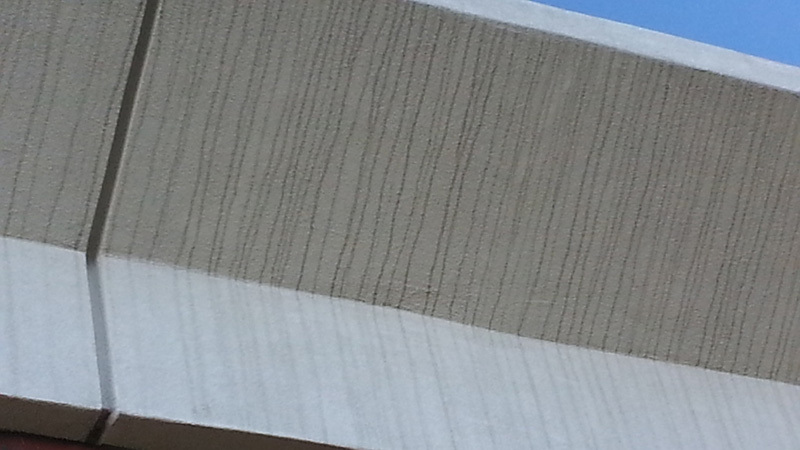 If you have rust stains on your commercial property call us today for your free estimate. 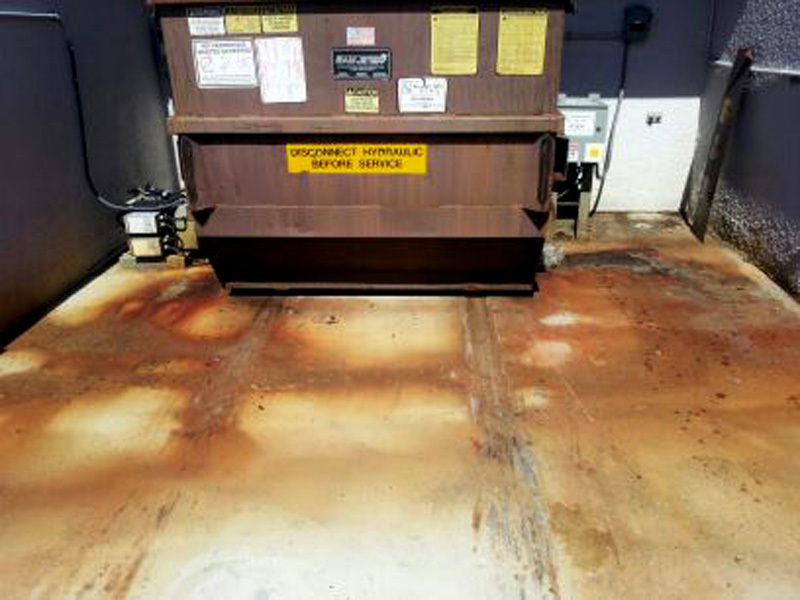 We are Fresno, California’s rust removal experts! 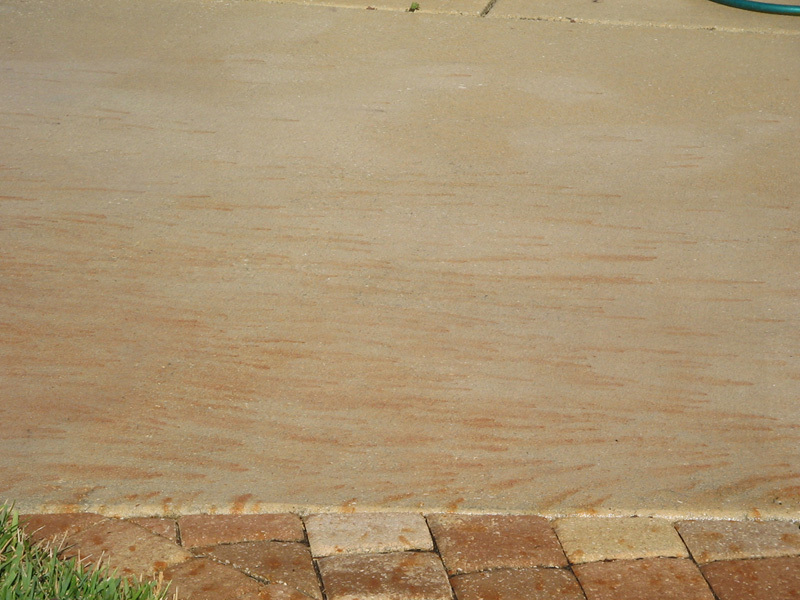 Highly effective and non hazardous on the following stains: Rust comes from many sources, most commonly from metals or fertilizers that contain iron. 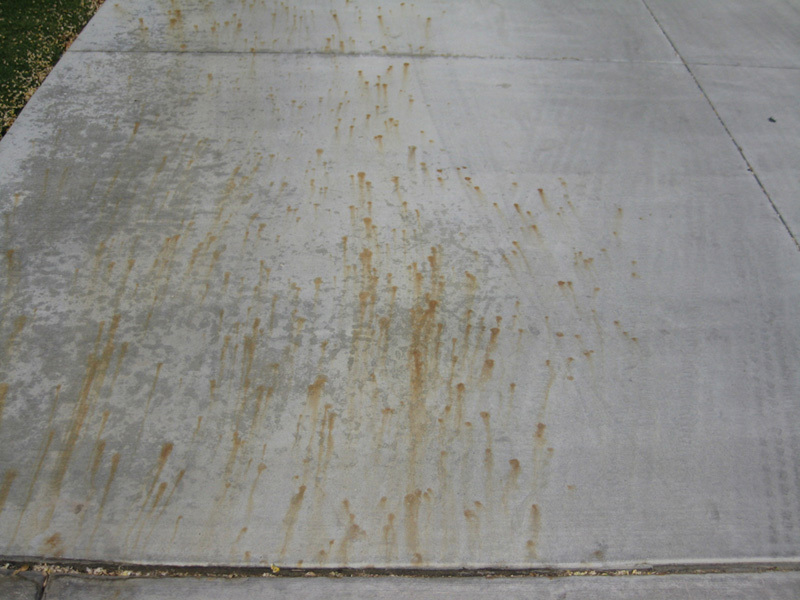 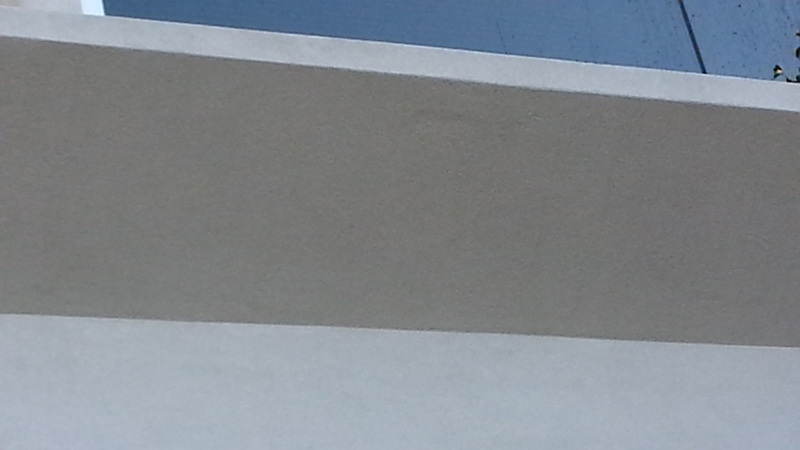 Most concrete rust does not travel more than 1/16” deep into the concrete. 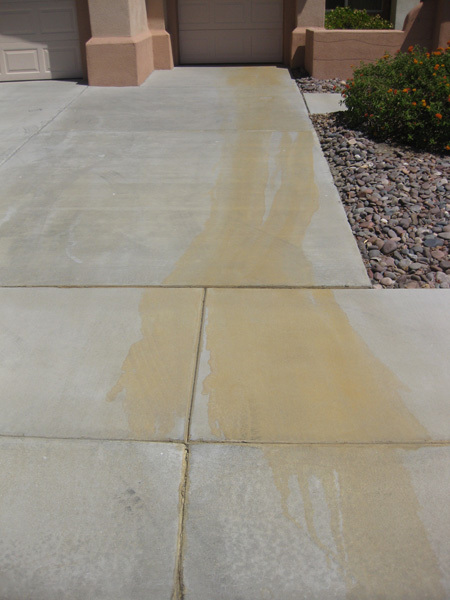 Orange Battery Acid looks like an orange flash acid “burn” that can trial down your driveway and onto the street. 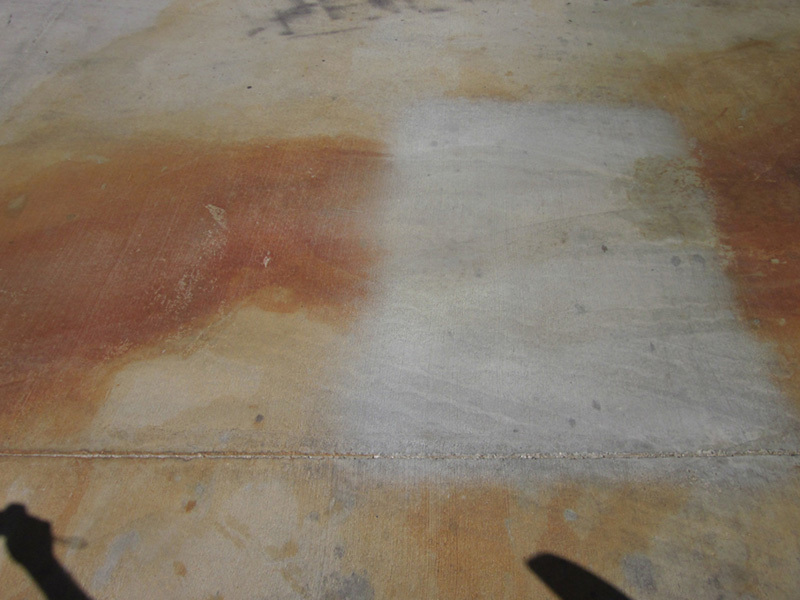 These stains are almost identical to rust stains, but are very different in nature. 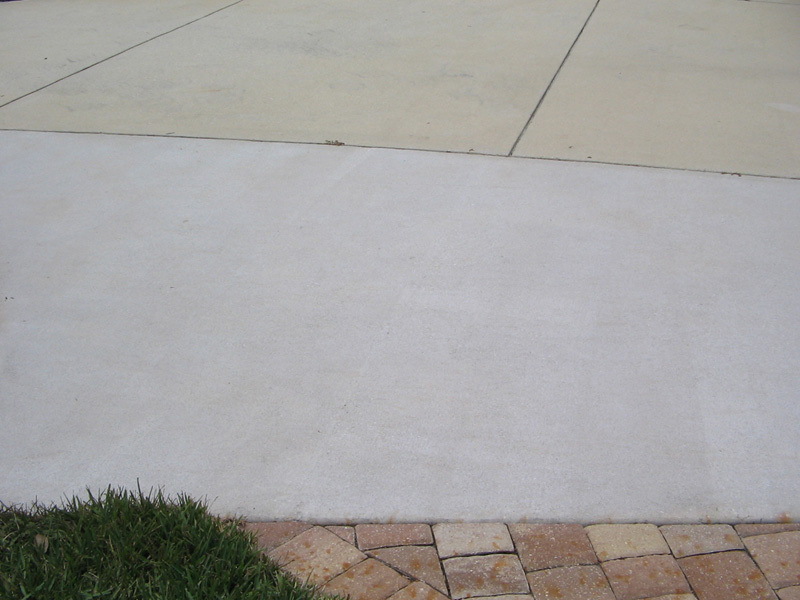 If your battery acid is white, it can travel throughout the entire slab and there is no cleaner that can remove the white stain. 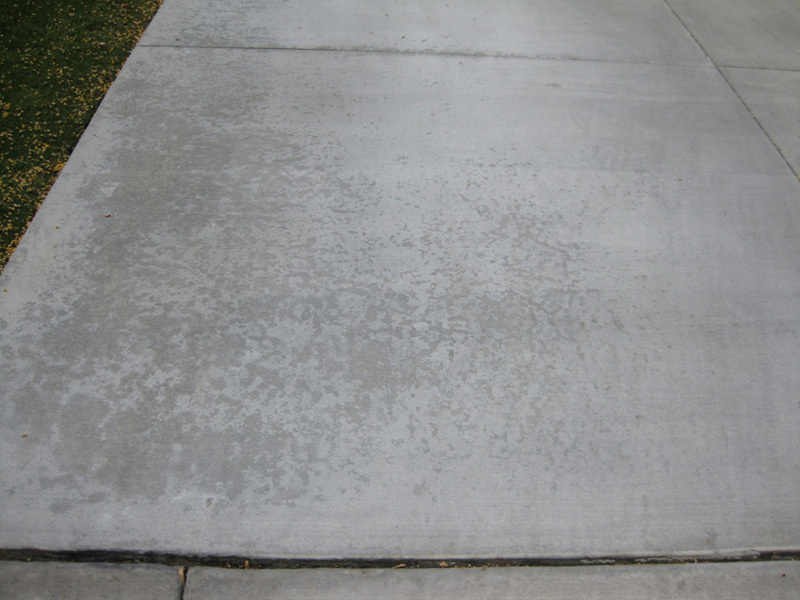 Fertilizer Stains fertilizer stains are very common on driveways and concrete or paved areas around the home of anybody who regularly uses fertilizer. 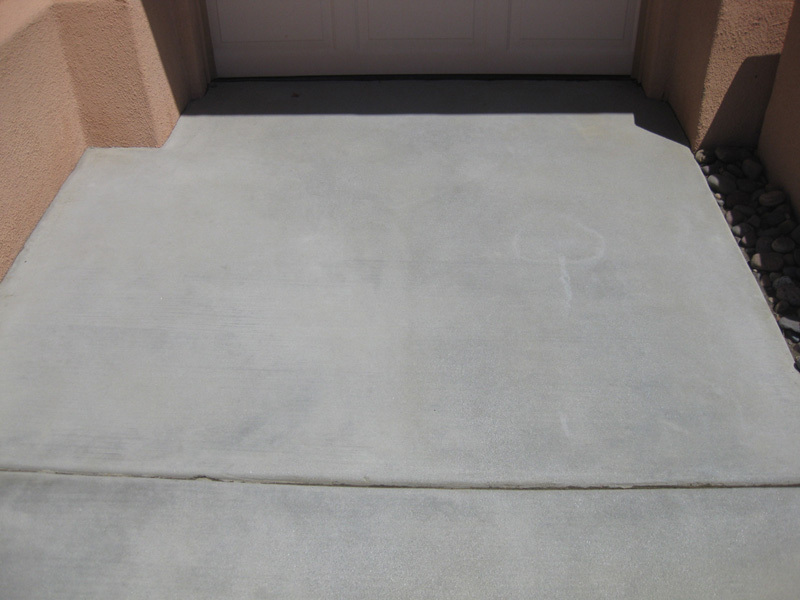 In addition to being highly effective at Rust Removal from concrete, brick, vinyl siding, pavers and much more, Golden State Pressure Washing is highly experienced and capable to remove such stains as Orange Battery Acid & Fertilizer Stains with F9 BARC. 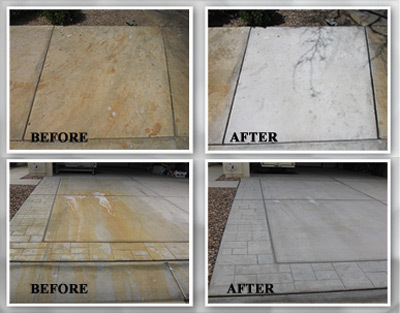 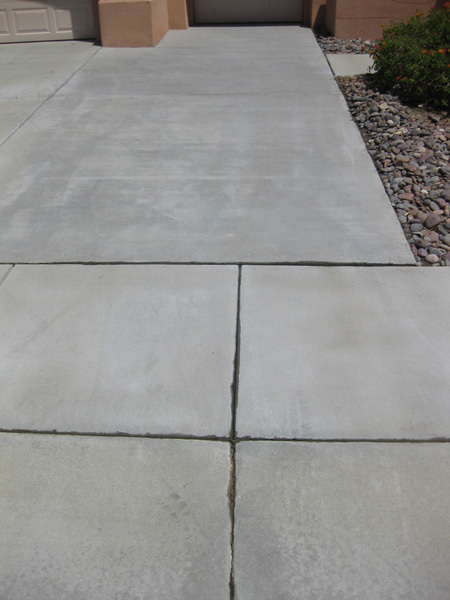 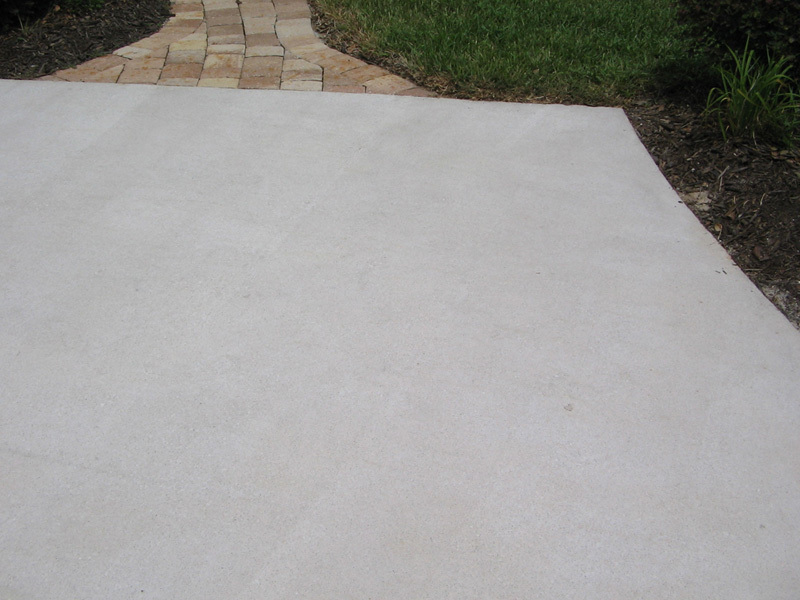 In fact we can remove a wide variety of common stains you will find on your driveway, sidewalks, house, patio area, courtyard, entrance areas and all external areas that are subjected to these types of stains.